"A blistering, wildly infectious reunion with Nick Lowe and the Attractions. A-." "... recalls the venom of This Year's Model and the artiness of Imperial Bedroom ... (I Want You is) as good a performance as Costello has ever recorded ... it's here that Costello reclaims the stunning rush of his first releases by trading on the tension between his spiteful and sincere modes." "... he (they) hasn't (haven't) sounded so tough, or single-minded since This Year's Model ... it's a return to basics with a decade of growth in it ... he's just voicing his pain and the world's, in that order, as usual. When the two strongest songs on a pop record run over six minutes apiece, we're talking sustained vision. A-." Released only seven months following the rootsy King Of America, Blood & Chocolate was received as a more conventional, typical Elvis Costello album. 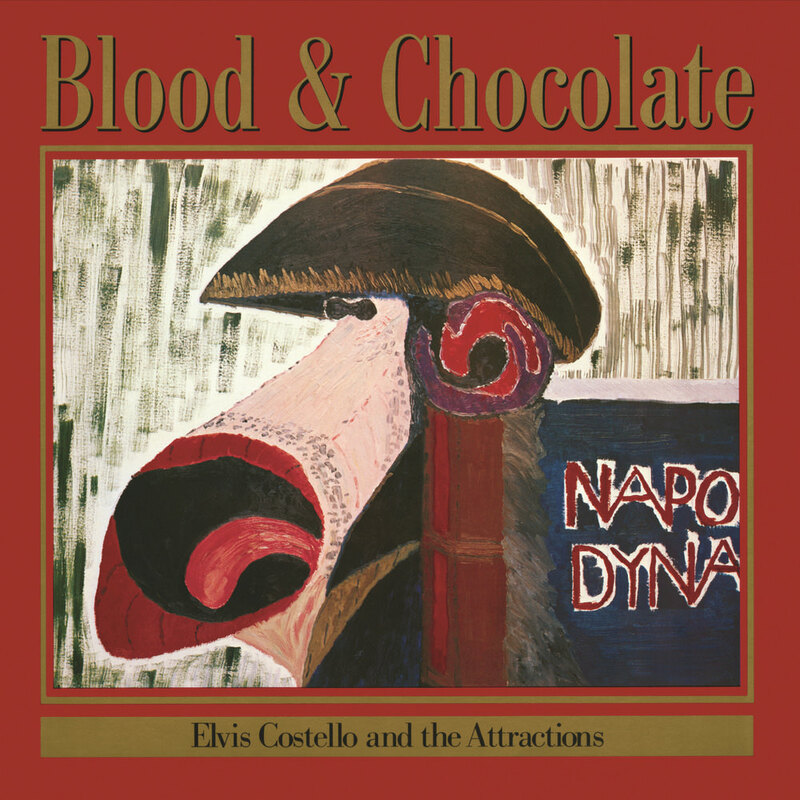 Featuring the Attractions and produced by Nick Lowe, recorded live off the floor in London, Blood & Chocolate peaked at number 16 on the British chart.